Caroline Kent, Basil Kincaid, Esau McGhee: "On The Road"
Installation View, On The Road: Caroline Kent, Basil Kincaid, Esau McGhee. 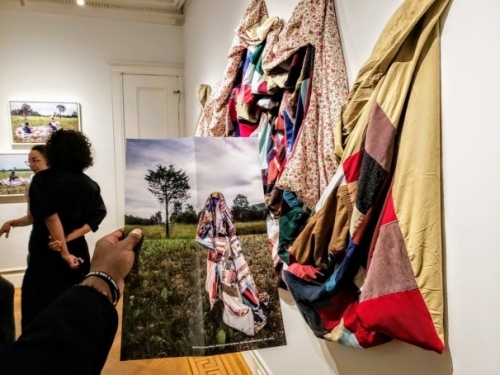 Jenkins Johnson Projects NY presents On the Road, curated by Larry Ossei-Mensah. “On the Road” features new work by Midwest artists Caroline Kent, Basil Kincaid, and Esau McGhee. I believe these artists put on display fantastic examples of exploratory and creative approaches to abstracting reality. Certainly, bright emerging artists to keep a look out for in the future.